My daughter just turned 8 years old this week. She loves style and loves anything girly girl. She especially loves playing and experimenting with makeup and nail polish. I was excited to review some items from Townleygirl.com. Their products are non-toxic and animal cruelty free and have a variety of cute characters my daughter loves. Townleygirl’s safe nail polish is ideal for children ages three years and older. The polish does not contain toluene or acetates, using water as a base instead. When applied, the water vapor is released in the air, with no chemical fumes. This non-toxic polish is not only 100% child friendly and fun, but also mom-approved. I received 4 sets of hair accessories and nail polish/chapstick to review with my daughter. 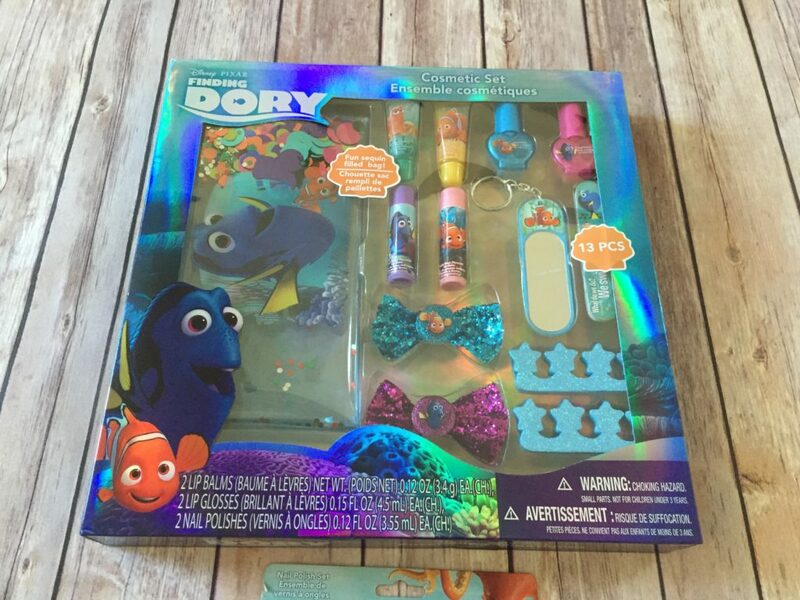 She is really loving Finding Dory right now, so she was excited to get two sets of Finding Dory accessories. 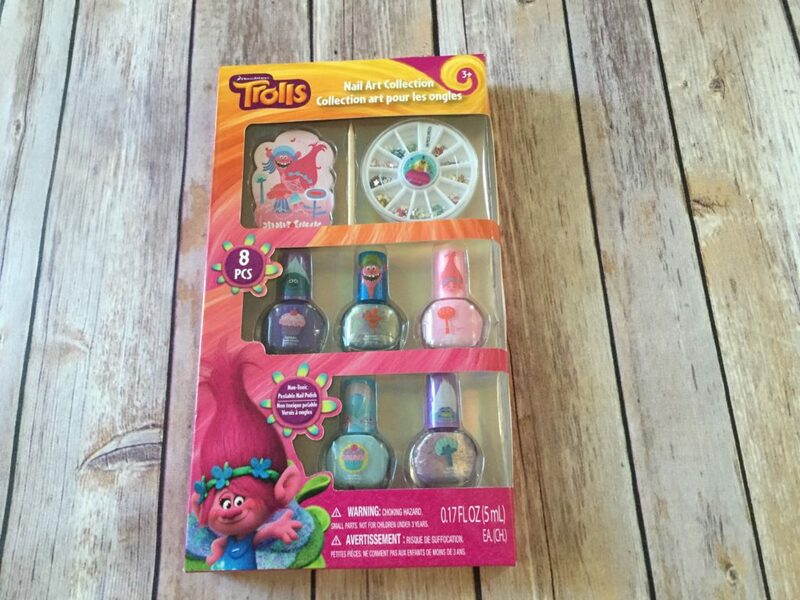 The other two sets are Frozen hair bows and a Trolls nail polish set. My daughter’s eyes lit up and she was so excited to try out the nail polish. She immediately grabbed the Finding Dory Cosmetic set to try out first. She loves the carry case it comes with, it has really cool sparkly confetti all throughout it! She loves the glittery bows the set came with too. We are looking forward to seeing the new movie Trolls, so receiving the set which is Troll themed was very cool. My daughter loves the little gems that come with the set to put on her nails. 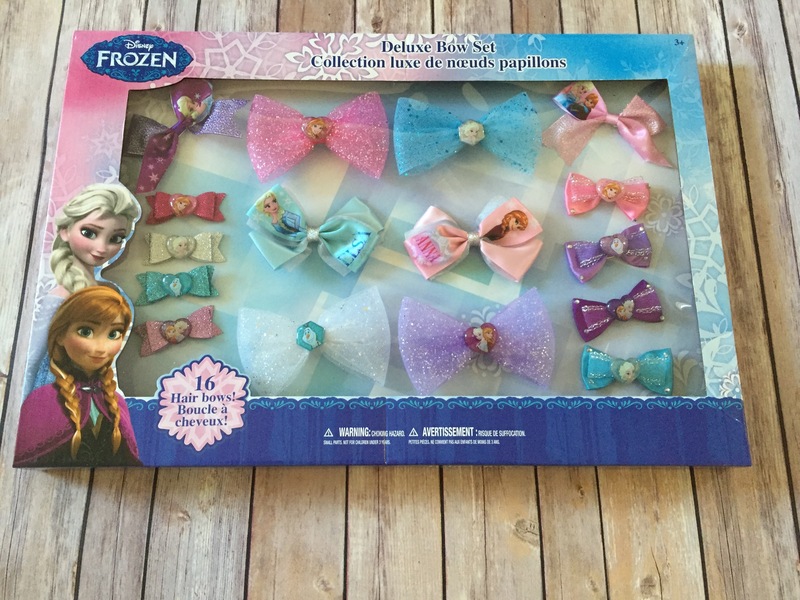 The Frozen bow set was a big hit as well. My daughter loves to wear bows in her hair, these are very sparkly and include different colors, styles and sizes. Any Frozen fan would love this set. 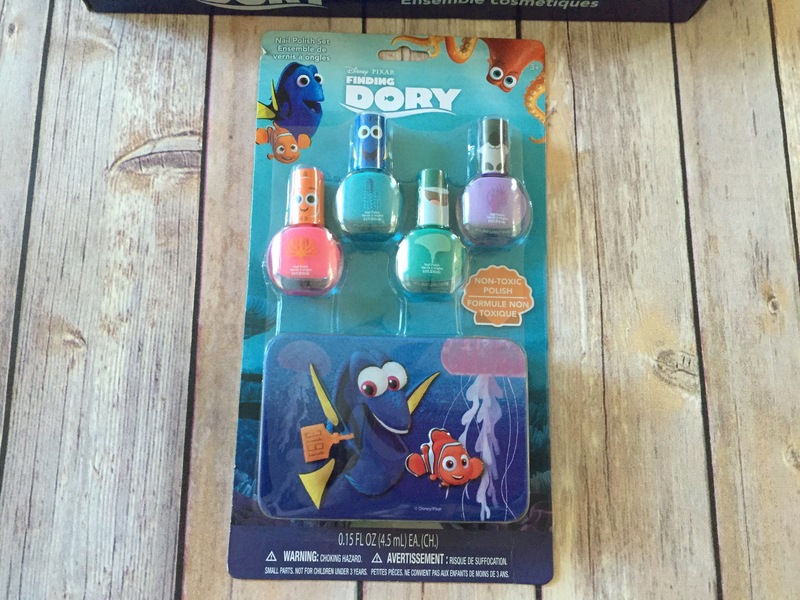 The 2nd Finding Dory set includes Pastel type color polishes and also a cute carry tin. This is perfect for travel. She loves keeping her nail polish in this tin. My daughter tried a nail polish in each set, she was able to polish her nails herself, and the polish does coat better than some kids polishes we have tried and dries quick. 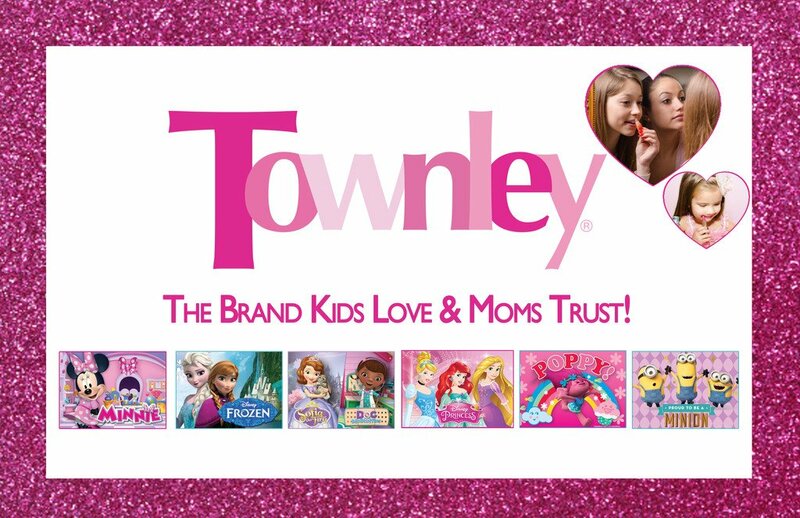 If you need a gift to give to that special little girl in your life, I definitely recommend checking out Townleygirl. They have a large variety of characters to choose from and any little girl will love to sparkle and shine with Townleygirl.